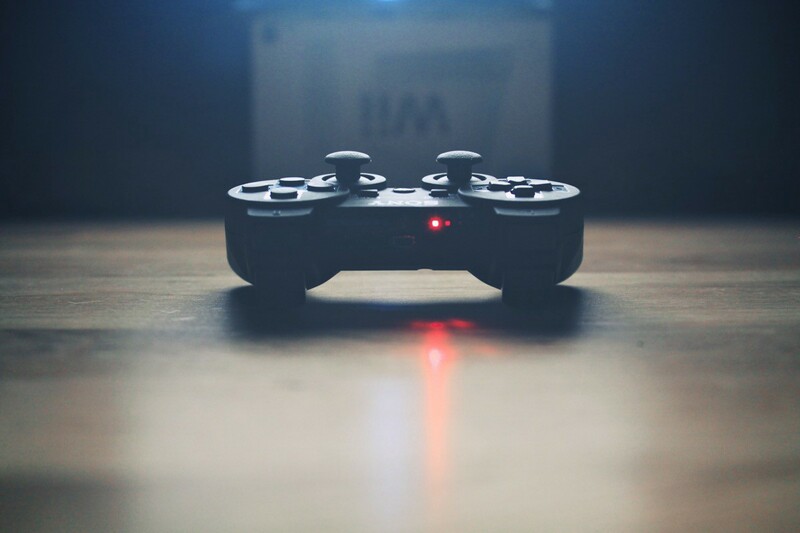 Video Games and Leadership: A Match Made in Heaven? Video games and leadership might not seem like they go together, but I’m here to prove otherwise. Your sore thumbs are not in vain: you’re actually improving your business skills! Whether you’re a veteran PC gamer or a survivor of the Console Wars, it’s likely that you’ve played more than your fair share of video games. And that’s a good thing if you want to be a better business leader. Video games and leadership go hand-in-hand. The first reason is simple: video games are good for your brain — and better brains make for better leaders. This daily “training” can increase your brain’s memory functions and help you to solve puzzles outside of the games you play. But, of course, just like going to the gym, you have to keep playing in order to make the benefits “stick.” (You can’t do one push-up and expect to win the Olympics’ weightlifting competition!). However, you don’t have to be a fan of Professor Layton or other “brain” games for video games to improve your thinking capacities. Another study, published in American Psychologist, noted that these benefits are especially true when players engage in “shooters” and particularly “violent” games. (Tell that to your Mom the next time she complains about you playing Grand Theft Auto or Call of Duty!). In the same study, it was noted that “casual” games, like Angry Birds, were good for elevating mood levels. This is not to be taken lightly as a happy brain is a well-functioning brain. People perform better, in life and in business, when they’re in a good mood. However, the real nitty-gritty studies revolve around role-playing games (RPGs). This is where the link between video games and leadership becomes much more obvious. Researchers in the United Kingdom have discovered that strategic RPGs like Starcraft can quite literally make you smarter. By increasing your “brain flexibility” — a trait they described as “a cornerstone of human intelligence” — these games proved to help participants complete cognitive tasks with far greater ease than those who didn’t play. In fact, the results were immensely apparent in the groups of individuals who had not previously played video games, and were simply playing them for the studies. Their brain functions spiked after having been exposed to these games. It was like a steroid shot to their minds. These results included a group of individuals with dyslexia who vastly improved their test scores on reading and writing tests after having been exposed to gaming. As well as a group of elderly individuals who showed improved memory functions. (Is there anything video games can’t improve?!). When it comes to video games and leadership, one type of game reigns supreme: the MMORPG. Also known as Massively Multiplayer Online Role-Playing Games, MMORPGs proved to up participants leadership skills when studied. In a study performed over eight months by Seriosity — focusing on players of EverQuest, Eve Online, and World of Warcraft — clear leaders emerged. And they weren’t always who you’d expect. MMORPGs have a “talent” for putting people in leadership positions who might normally be too reserved to step forward. By giving them a “safe” environment to shine, players were able to uncover their natural leadership abilities without any real world consequences if they failed. In fact, many of the best leaders in MMORPGs had one thing in common: the ability to say “let’s try that again!” after a massive failure. The online gaming world allowed them to fail and try, try again — something many “real world” leaders are reluctant to do (even though this trait is often needed to succeed in business). In other words, by “gamifying” your business environment, you and other leaders on your team may more easily be able to thrive! Offer incentives. These do not have to be monetary — just something to make your leaders, and employees, feel like they’re “winning.” Offer benchmarks and awards for tasks successfully completed. Be transparent with information. In MMORPGs, everything is laid out for the player to see — from other players’ information to quest knowledge — so, in the real world, information should be easily accessed as well. Keep your leaders and team “in the loop” when it comes to what’s going on with your business. Make work fun. Yes, of course, work still needs to be done… But that doesn’t mean it has to be dreary. A positive attitude goes a long way. Simply by coming into work each day with a smile, you can encourage your team leaders to perform better. Management by Gaming (MBG) is taking the business world by storm, and it’s not hard to see why: it works. Encouraging your leaders to play video games in their off hours is also encouraged. Here at 133T, every single staff member is also an avid gamer. I’ve been replaying Pokemon Sun and Fallout 4 in my off hours, for example. We also like to play games together, when possible, and encourage other business teams to do the same. By finding an MMORPG that the entire team can agree on, you can not only become closer to your team members (it’s a great bonding exercise! ), but you can evaluate who may be better suited for leadership roles down the road. In conclusion, video games are fun, mentally stimulating, and have real world value. Don’t be afraid to play. And be sure to show off your sore thumbs with pride at your next conference meeting! What video game are YOU playing right now? Share this article on Facebook and let us know — we’d love to hear from you! I’m the owner of the multiple award-winning LittleZotz Writing as well as the Head Writer and Head Editor of 133T. A Better Future is Looking For You.